Dont Blame Us If Your Wife Gets Mad! Have you ever longed to have a greenhouse, but could not because you did not know much about it? 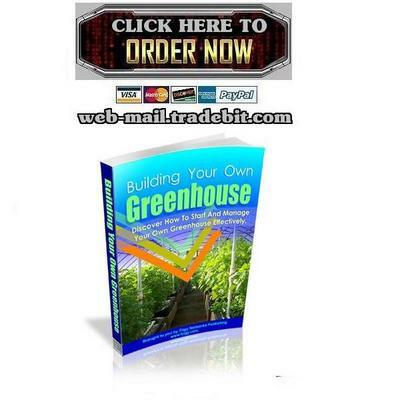 The eBook, Building Your Own Greenhouse, simplifies the task of greenhouse building and maintenance. The tips that this eBook presents not only inform you about the various types of greenhouses, but also about greenhouse equipment. In addition, it offers valuable tips on growing amazing greenhouse plants. With these e-book, youll be able to know them directly from the computer screen itself within 5 minutes from now if you take action!